To most people, dealing with pests is not an enjoyable chore. Although these insects do have a role in the ecosystem, too much of them can be annoying. Apart from that, these insects can also be damaging to public and private properties. Due to the inconveniences that insects provide, people do everything that they can to get rid of pests before infestations occur. The key to dealing with pests is to know their schedule and behavior. Be a diligent property owner by finding out when pests come out to play. When Do Pests Usually Emerge? Pests are not always visible at all times of the year. However, lack of visibility does not necessarily translate to non-existence. Most insects are still around the whole year. These insects are just biding their time, strategically looking for ways to survive and thrive. Having pests infest your home is never a good thing. To know how to deal with pests, you have to know what to look out for and how to protect your property. Here are some things you should know about pests and their behavioral patterns. ● Pests usually come out during spring. This should not come as a surprise to most people. Insects usually come out to play during spring because they thrive off warmth and food. This is the time when insects that have hibernated wake up, and eggs which were laid during winter develop into adults. This is also the time when they get busy to prepare for the future days of winter. During spring, they look for food to store during colder months, and search for new viable homes for their group. Once spring rolls around, you would immediately notice the difference when it comes to the population of insects around your area. 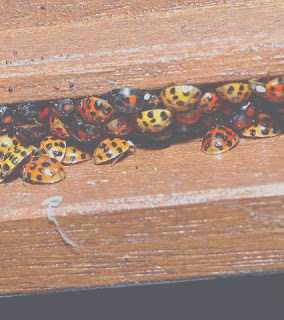 ● Winter is a critical time when it comes to preventing pest infestations. As previously mentioned, insects thrive off food and warmth. During the cold days of winter, insects will usually find shelter in places where they can manage the average temperature. This means that apart from logs and underground crevices, private homes, and structures are attractive areas for insects. If you want to prevent insect infestation, you have to be strategic with preemptively dealing with to-be pests during winter. Since pests generally come out during spring and burrow in private properties during winter, these are two of the most important times for pest control. Although you may think that you can deal with house pests on your own, it would be better if you contract the services of trusted pest control companies. Getting rid of pests does not just involve cleaning the infested area and driving those pests outside your house. You need to know if there are possible breeding grounds in your house, and if your property has areas that are attractive for pests. Ensure that all traces of pests are driven out of your property. Contact your pest control company today.